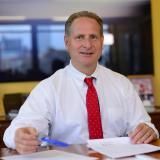 With 30 years experience in tort litigation, Paul T. Hofmann stands tall as a champion for victims whose lives are forever changed. 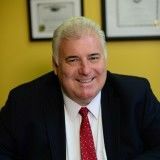 Named a Super Lawyer in 2006, 2007, 2008, 2009, 2010 Hofmann specializes in personal injury matters, with special emphasis on maritime, railroad and construction worker claims. Hofmann has a B.A. from Rutgers College and J.D. from New York Law School. He is a member of American Association of Justice and the Maritime Law Association. He chaired the ATLA Admiralty Section and writes and lectures extensively. Dario Anthony Chinigo, is an attorney with more than 15 years of experience in Personal Injury Litigation, and an associate with the firm of Hofmann & Schweitzer since 2004. 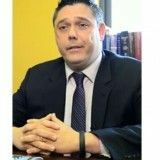 Having immigrated to the United States from his native Italy in 1983, Dario is especially sensitive to the issues and problems faced by immigrants who are injured as a result of others' negligence. He speaks, reads and writes Italian fluently, and is conversational in Spanish. 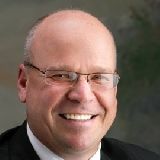 With 18 years experience in tort litigation and with a diversified background which includes marine construction, Tim Schweitzer, partner with the law firm of Hofmann & Schweitzer, has unique insight into the needs of his clients. Tim specializes in personal injury matters, with special emphasis on maritime(Jones Act and Longshore Harbor Workers), construction worker tort claims and railroad (F.E.L.A.) claims. He has successfully resolved hundreds of personal injury suits through settlement and by jury verdict. (609) 846-4717	681 Townbank Rd. The Oyez Lawyer Directory contains lawyers who have claimed their profiles and are actively seeking clients. Find more New Jersey Maritime Lawyers in the Justia Legal Services and Lawyers Directory which includes profiles of more than one million lawyers licensed to practice in the United States, in addition to profiles of legal aid, pro bono and legal service organizations.